Knowing which type of soil and grass you have in your lawn can help you decide how often your lawn needs to be aerated. Being aware of the right time to aerate and how often to do it, can make all the difference when it comes to the health of your lawn. Core aeration is the process of using equipment to pull small spirals of soil from your lawn. These holes allow your lawn to take in nutrients better, improve drainage, and also let your lawn breathe better. Core aeration can help your lawn grow whilst looking greener and healthier. 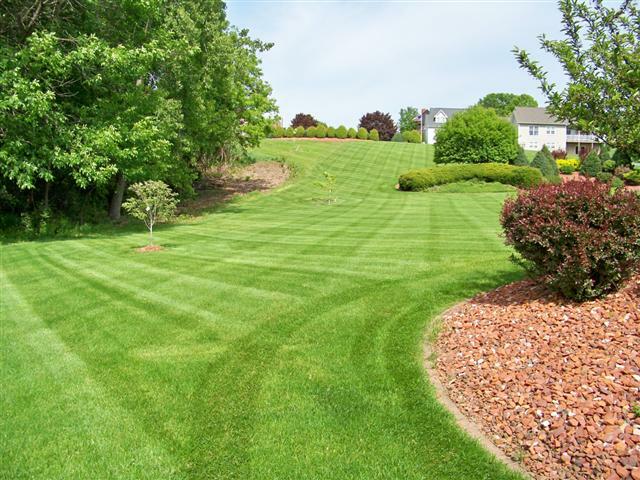 By hiring our professional team from Mandarin Lawn Care to aerate your lawn, you can ensure that your lawn can take up the most nutrients and water possible to keep it healthy and green. Aerating your lawn can encourage the roots of your grass to grow. Placing holes in your lawn lets stale CO2 escape while letting fresh O2 enter. Aerating helps you lawn take in new air, nutrients, and water, these are then taken in by the roots of the grass while encouraging deeper root growth. Your soil slowly compacts over time, aeration can allow your soil to reduce this compacting which improves the amount of water and nutrients your grass is receiving. Core aeration allows new grass seed to connect directly with the soil. By giving your grass what it needs through the aeration process your grass can grow stronger and healthier.